Architect Fin is a specialist Architectural office that focuses on producing quality contemporary designs for older style houses. 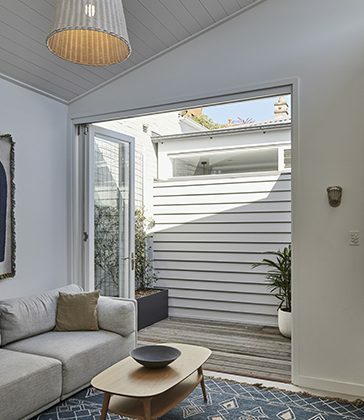 This includes Terrace House renovations and extensions and renovations of Semi's, Federation Style Houses and Queenslanders - without compromising existing character and heritage features. As well as enhancing and renovating existing houses, we also produce quality contemporary designs for new houses, as well as designs for apartments and commercial projects. Architect Fin is based in Byron Bay and Sydney. We provide exceptional personal service for clients in Sydney NSW, and stretching from the northern rivers area of New South Wales, to the Gold Coast in Southern Queensland. Our aim is to create highly functional, contemporary living environments that complement existing heritage characteristics and are ultimately a pleasure to be in. Fin Murray is an Australian registered Architect in NSW (Architect No. 8060).